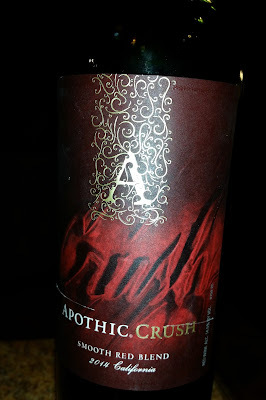 2014 Apothic Crush - AoM: Beer et al. The wine had a deep red smell. While the wine initially tasted smooth, it later had a sour taste which was beyond my liking. The first taste entices, stimulating the senses. The next taste ignites, arousing the passion. A decadent red blend that combines red fruit flavors with notes of caramel and a velvety smooth mouthfeel.